Where did you get the blurb book made? 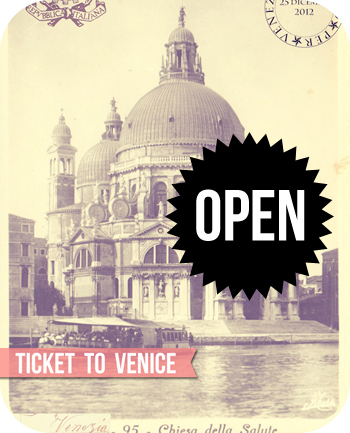 Hope you have a wonderful trip to Venice, Mary Ann. I, too, look forward to reading all about it. Enjoy and keep us posted, especially if you get to any of those paper/book shops. Mary Ann, you may have already read this book, The Art of the Wasted Day by Patricia Hampl. I think you might enjoy it. I enjoy you blog. Thank you. Sounds like a great plan. Venice! How wonderful! Use what you have–great plan and a fun journal! Have a good trip! I love your journal. I remember watching you make that in the ticket to Venice class. I hope that the waters will not be too high for you to wade through. Taking your class inspired me to make it to Venice in 2016. I am waiting for you to make a class called ticket to Provence so I have a reason to go there too. My little furry feet have been quite damp this last week with all the rain and would love to jump around in the sunny lavender fields of southern France. I am collecting donations today to deliver to the migrants in Tijuana. An organization called Border Angels will deliver them across the border. If anyone wants to donate there is a wish list at Target or Walmart. TTFN. Love the journal you’re taking, Mary Ann. Love the travel journal that you’ll be taking with you. I’m overdue making a new journal, so yours is an inspiration! Safe travels, and looking forward to seeing/reading all the details! A great post/video to wake up to in France on a Saturday morning! Can’t wait to see a LOT OF DETAILS from your trip 😉 And perhaps you can get a bit of rest while there? I find travel very restorative, and I so know what you mean about fatigue from work. Your enthusiasm for retirement has helped me look ahead with ANTICIPATION!